Vinyl record sales have continued to soar consecutively for the past 11 years, with them hitting a 25-year high this year in the UK. Even in this digital age, we haven’t moved so far from our past that there’s no room for the traditional musical format that is vinyl. 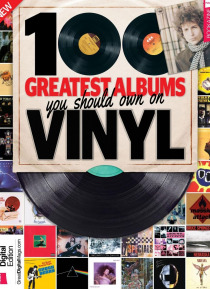 In 100 Greatest Albums You Should Own On Vinyl, we collate the greatest albums to have ever been pressed and then sold on vinyl … since the ’50s. From the bands and solo artists that made the music possible, to the sleeve art and limited edition extras of the record itself, we will take you on the ultimate journey of musical discovery.